Synopsis: The divide between the rich and the poor is great. It is great enough to stop men with small imaginations and smaller ambitions. 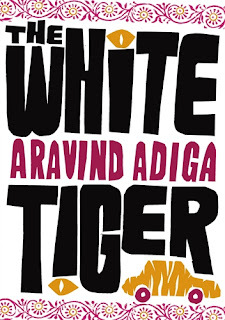 But it isn’t great enough if a man is determined to do what it takes to change his fate, if the man is a White Tiger. 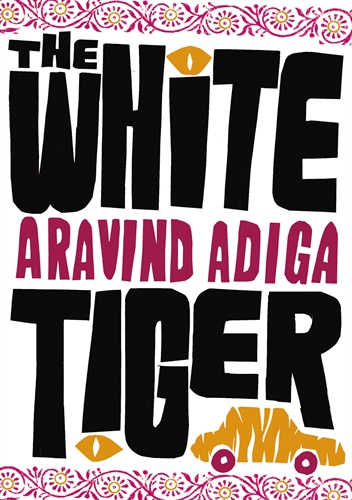 UCV says: So I finally read The White Tiger by Aravind Adiga. I finally understood what the hype was all about. And I finally know what it takes for a debut novel to win the prestigious Man Booker Prize. And those who criticised this book because they've taken it upon themselves to criticise anything that's criticiseable (I know there's no such word), well, that's just too bad! Because this book is as sharp as they can get; yessir it is! sadly, i couldn't finish this one. Got so bored that i left it midway. Maybe one day i will. P.S| I guess we have to officially allow multiple reviews now. This is the second review of the book on the blog. The hardest part is how do we update it in the pages. Admins, help. Oh. I did a search for it, but nothing turned up. So I posted it. Remove it by all means, if duplication is something you want to avoid. No hassle. I picked up this book 3 or 4 times but never read a single page! Fifth time lucky maybe? @FL - I always refer to the 'Browse By - Authors' tab, and check if the author that I am reviewing is already present. But some of the latest reviews's author names haven't been updated. I feel there should also be a list of ALL the books reviewed, but that's a huge task and will take a really long time. No its okay. We have all been postponing the inevitable. Its time to let writers post what they read irrespective of if its been reviewed. BTW , am in same boat as you FL for this book .. know it is a ood one , but not able to finish yet .. some day !! @nimue...the label won't pick it up. It will only pick the specific post. I have added a different label for all multiple reviews from now on. Now, it will pick it up. also I check the authors tab and check what all books have been reviewed for the author if present. anyway, there are a lot of tools which can auto pick such things. let me know if help is needed. This is one book I finished with great difficulty, but the fact that some parts of it still come to my mind at unexpected times is I guess a good thing. Whenever I'd pick this book, I'd immediately keep it down.. Just felt it was too boring.. But your review is so brilliantly written that I feel like reading it now!! Glad I've been able to change some of your opinions about this book. Read it again with an open mind, and you'll see what I mean. :) Thanks all! I reviewed it with great stars. An ultimate book for those who can understand the depth of ironical sattire in contemporary fiction camouflage. One of the rare books on my shelf that I treat as a benchmark before judging the social soul search associated with similar stories, a book that I have read 3 times. I did read your review Pulkit, and liked it. I think we agree wholeheartedly on the merits of this book.